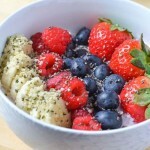 This breakfast bowl recipe is refreshing and bursting with flavor. 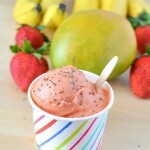 Such a delicious summer treat. 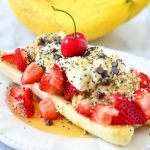 We’re happy to have partnered with Acorn Influence and Cheerios™ to bring this recipe to you for #SummerOfCheerios! The weather has finally warmed up and it’s nearly SUMMER! 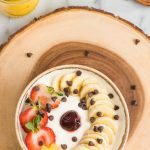 I love having a quick and easy breakfast before we head down to the shore or even to the farm to pick some local fruits and vegetables. We love a refreshing breakfast when it’s hot outside. 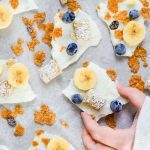 My daughter especially loves this breakfast, and I make it more of a nice cream instead of a smoothie bowl for her. 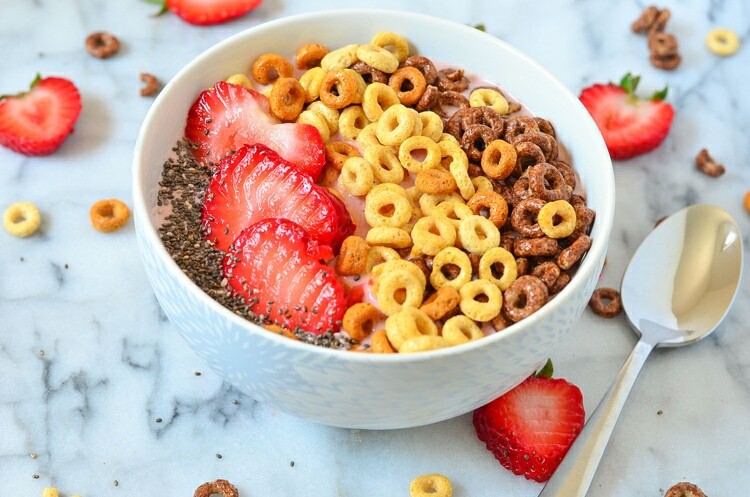 I love a mixture of Multi-grain and Chocolate Cheerios™ for extra crunch, also can’t forget my chia seeds! 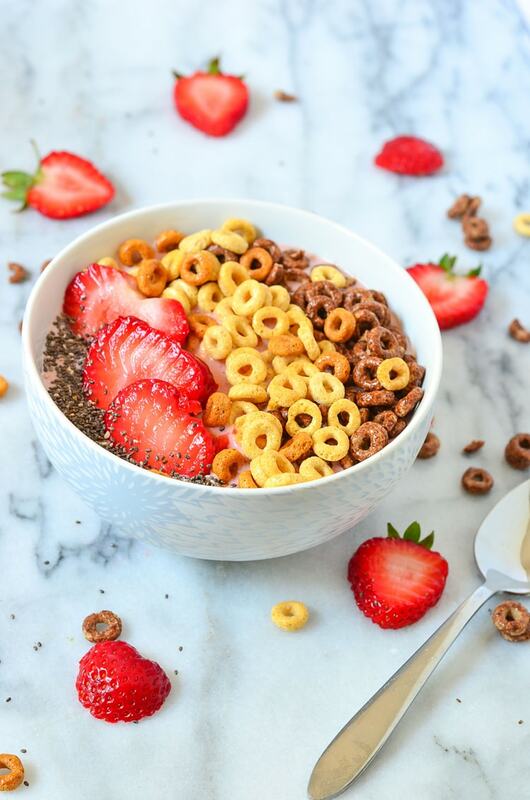 print a money saving coupon for your next purchase of Cheerios™ to make this breakfast smoothie bowl! 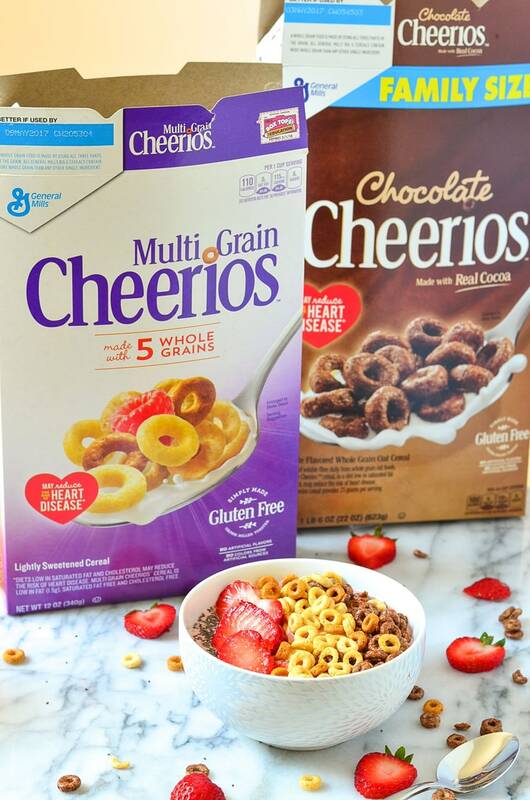 Cheerios™ are only of my daughter’s favorite cereals and my Chris, and I love them too! 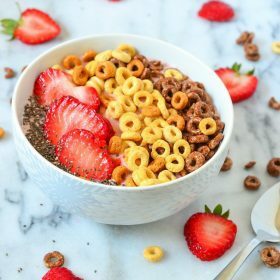 I could still just eat a bowl of multigrain cheerios with milk and be happy, but this breakfast bowl recipe is a sweet treat for breakfast. Since our family loves Cheerios™ so much, I purchase them at Walmart, after price matching everywhere, they have the best prices! If you come here, often you know about #MiniChefMondays! My mini chef loves this breakfast so much that she can make it on her own with just a little help from mom or dad. 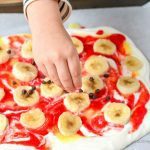 You can use a blender or even a personal blender to make this recipe. 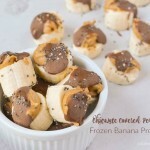 If you wanted to turn it into nice cream, we suggest using a frozen banana instead of fresh. 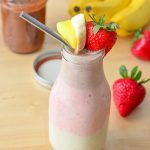 In a personal size blender combines the strawberries, bananas, and yogurt. Pour smoothie mixture into a bowl. Sprinkle on Cheerios™ and chia seeds. Finish off with slide strawberries. Wow this was very yummy, best breakfast bowl I’ve made.